Any activity, whether it is for competitive goals to be mastered, or simply, for pure recreational outlets, have one certain component in common…. And that is alignment of the spine. Why is that? Movement of our limbs in concert with the muscles can be simply walking briskly or shuffling along and kicking up leaves with our feet. The more concentration a person can bring to the memory within the muscles, the more accurate and efficient our movements can become. Having a daughter who figure skated competitively, I spent many hours observing the process of learning a new jump. As a spectator watching from the stands and without the advantage of hearing the dialogue from the coach, I could see the linking together of all the minute movements needed: acceleration and power, eye gaze, posture, balance, upper body strength, and then deceleration prior to the takeoff, rotation in the air, and finally landing and a continued flow of movement into the next sequence. All of these components are practiced repetitively and later performed. Within each performance there can be highs and lows of execution until that one day, when all thought processes are in total sync with the muscles. It is a true balance of alignment in the skater’s mind and body. Cross training is done off ice to hone the skills needed to attain flexibility, strength, and musicality into the program and to bring to life the coach’s vision and interpretation of the music. My craft is, as I view it, is the endeavor to teach my clients the value of understanding how crucial alignment is to alleviating most of our everyday aches and pains. 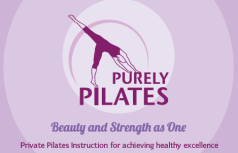 My mentor, Romana Kryzanowska, (protege of Joseph Pilates) believed a person should exercise all throughout their life. And she was a perfect example of her philosophy, having recently (and most sadly) passed on at the age of 90. The core becomes everything for within each movement we make, we learn to accommodate shifts, bending and sudden jolts of the body with less injury to our limbs.